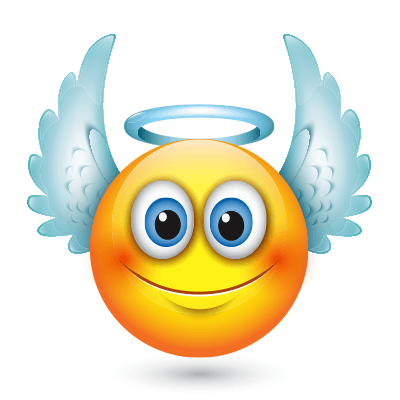 Add a sweet touch to your status update with this cheerful angel smiley. Imagery like this is sure to put a smile on someone else's face too. A plain text-based message is sadly dull, but when you can perk it up with imagery, your recipient is sure to take extra special notice. Try it and see!